Are you looking to rent a charter bus in Anaheim, CA? 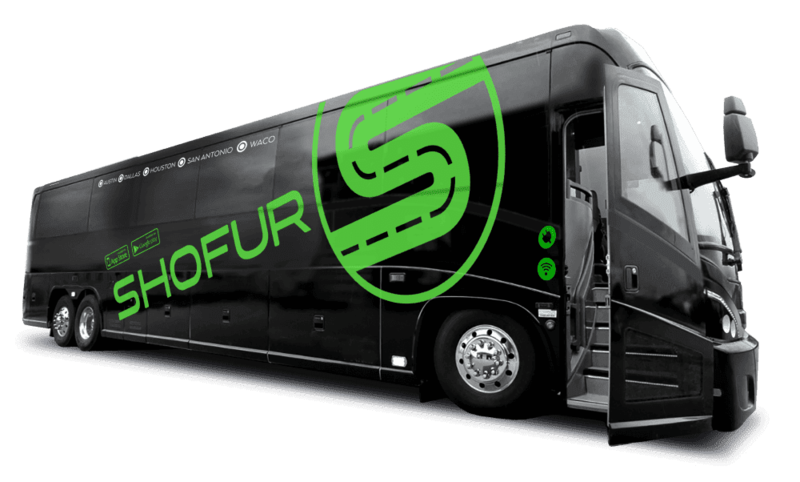 Whether you're interested in traveling to the beautiful beaches of Orange County or in need of a travel method to take you across the country, Shofur is here to assist you in finding the best rates and bus rentals in Anaheim and surrounding cities. While traveling with medium-to-large sized groups, commuting tends to be a hassle as travelers frequently consolidate into separate caravans while being transported to the same location. Additionally, it’s common for passengers to get lost or have car trouble, leading to the whole caravan being delayed before the main event. Whether planning for corporate travel, school field trips, or private vacations, renting a bus can streamline your entire group’s transportation for seamless travel. With lots to see and do in the entertainment city, your group will always be on the go. From Disneyland’s Adventure Park to the Founder’s Historic Site, your association can witness a new side of The Golden State. The next time you visit Anaheim, we'd love to be of service. Your group can choose between a variety of charter buses, entertainment buses, and minibuses. Before planning your trip itinerary and bus schedule, let’s examine a few of the highlights available in the beautiful Orange County. When you're traveling in the city, there's no better way to arrive at Disney California Adventure Park than in a luxurious private rental. There will be more than enough storage room for all of your travel companions and a wide selection of comfortable amenities based on your travel style and budget. With a personal minibus, there's no limit to the magic you can experience at Disney destinations and surrounding parks. We also recommend checking out The World of Color nighttime show, a visually stunning Disney experience which includes dazzling seasonal parades and more. After flying into Los Angeles International Airport, many travelers need to find low-cost reliable transportation to their hotels. Bus routes from LAX to Anaheim allow for you to book and board The Disneyland Resort and Disney’s Magical Express. But often times the Disney buses and trains get overcrowded and costly over the course of a week. It is more efficient to rent a personal charter bus for the entirety of the trip than to tackle pesky parking fees or crowded public transit routes during peak travel seasons. Fly into LAX and board a private charter to your hotel in Anaheim. If you're traveling for a corporate event, Irvine is a common destination for business travel and conferences. As one of the economic, commercial, and cultural capitals of the United States, Irvine is home to a wide number of major corporations and privately-owned foundations. Though Californian companies schedule dozens of business meetings, seminars, and conferences throughout the year, many of them lack dependable, affordable transportation to and from these events. A private rental is a simpler way to consolidate your business representatives in one centralized location while ensuring employees will arrive prepped and on-time to the corporate venue. Hollywood, Los Angeles is also one of the most famous business hubs in Southern California as it provides offices on one of the most traveled streets in the country, Hollywood Boulevard. Downtown Hollywood is also home to the California Business Center and Hollywood Chamber of Commerce among other popular corporations. Driving by the Hollywood sign is also an added plus for professional attendees and travelers. Adventurers also enjoy traversing the corporate enigmas by traveling around to the sites of Hollywood production companies and local business projects. If you and your travel companions want to take an afternoon to do some shopping while you're in the lively city, the best place to stop is the Anaheim Plaza mall. While the Plaza isn't quite as large as some of the other malls in California, it's a clean, fun location with plenty of stores to explore and enjoy. Grab a treat at the Pandor Bakery and Cafe or a delicious meal at Rubio's Fresh Mexican grill while you shop. If your bus is full of sports fans or ice-skating aficionados, cheering at the Honda Center is a great way to spend an afternoon. When there isn't a game going on, you can strap up your skates and hit the ice yourself. You and your group can even reserve the ice for a game of broomball or hockey. If you're more interested in spectating, you can expect fast service and plenty of comfortable seating for everyone in your group. Go Ducks! Visiting the Anaheim Farmer's Market is a great family-friendly way to spend a few hours before the sun goes down. It's truly a remarkable experience for both foodies and adventurous eaters alike, and you'll probably want to set aside at least two hours if you want to see everything the vendors have for sale. Make sure to stop at Jav's BBQ and have a taste of their amazing beef ribs (but go on an empty stomach-they're big!). Founder's Park is one of the main historical attractions within the city - as it lends a window into the unique heritage of Orange County. The site is home to three separate buildings that were all built in the mid to late 1800s, and each features a robust and fascinating history. Your guide will be knowledgeable and spin a fascinating tale as you tour the secrets of these well-preserved homes. If your tour group doesn't have the time for all three houses, the Woelke-Stoffel house is the perfect stop on a school field trip, which is the oldest and perhaps the most elegant house in the neighborhood. When your bus arrives, expect to be thrilled by the absolutely stunning Victorian architecture of these historic homes. The Historical Society here in town has done a marvelous job of preserving these memorable sights, and many locals have donated authentic antiques to furnish each home, providing an experience that’s like walking into the past. If your traveling party has any history fans or antiquing fanatics, this is one destination you won't want to miss while you're in town. What are you waiting for? Your extraordinary journey begins here. From your initial contact to your return ride home, we will work with you to make your travel dreams and goals a reality. We will design and arrange a journey uniquely made for you based on your travel style and budget. Book with us for a personalized experience from beginning to end from your own choice of modern amenities to your own itinerary. Call Shofur for your concierge in and around Anaheim. Our agents are available 24/7 at 1-800-436-8719. Do you have any buses running from Anaheim to LAX? ? We can certainly arrange a pick up from Anaheim to LAX.You can call us and one of our representatives will be able to assist you.